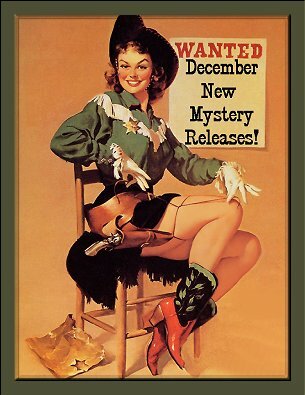 December 2012 New Mystery Releases! I've been busier than a one-armed paperhanger with the hives lately. I've been stitching up a storm (needlepoint window valances, anyone?) and decorating eleven Christmas trees (only have one left to do)-- and I haven't even begun to get the rest of the holiday decorations out. This substantially cuts into my book time, but you know that I have to share the new ones that are coming in December! I've grouped them according to release dates, and all the information is there for you to be able to find them at all of your favorite book spots. Synopses are courtesy of Amazon. 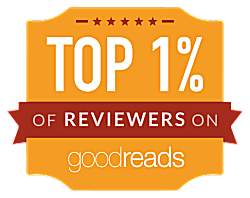 Happy Holidays and Happy Reading, everyone! Synopsis: "After a devastating fall from high society into dire poverty Nicola Redmond battles to support her mother and herself during the 1890s Depression in Australia. Spurning the 'charity' of the man who has claimed her father's estate, Nicola joins the battle for the empowerment of the women slaving in factories under dreadful conditions, or forced by starvation to sell themselves on the streets. 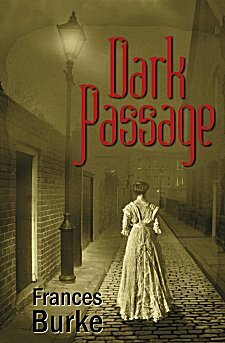 When her dearest friend, Rose Basevi, meets a degrading death in a back alley, Nicola vows to avenge her. Denying her growing love for a man she cannot trust, she uses him and his two rivals: a charismatic union organizer, and a cool English detective in charge of the murder investigation. Setting herself up as bait, she plunges deep into the underbelly of the city knowing that one of these three men is stalking her—that one of them is a heartless killer." 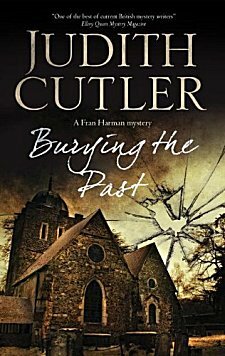 Synopsis: "Fran is preparing for her forthcoming wedding to Assistant Chief Constable Mark Turner, but renovations at the rectory they plan to move into are disrupted by the discovery of a skeleton buried in the vegetable patch. As investigations into its identity progress, it’s also clear that Mark’s two grown-up children are less than ecstatic at the prospect of their father’s forthcoming nuptials. In fact, at least one of them seems to be behaving very strangely indeed . . ."
Synopsis: "When her boyfriend Kevin’s ex-fiancée Ann arrives in Duck looking for a second chance, Dae suddenly finds herself facing certain heartache. And while her romantic life is in shambles, she’s even more concerned by the sudden change in her gift. After touching a medallion owned by a local named Chuck Sparks, Dae is shocked when her vision reveals his murder—and a cry for help. 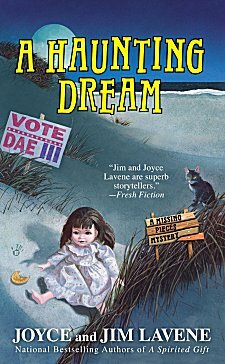 Dae doesn’t know what to make of the dead man’s plea to “Help her,” until she has another vision about a kidnapped girl—Chuck’s daughter, Betsy. With a child missing, the FBI steps in to take over the case. 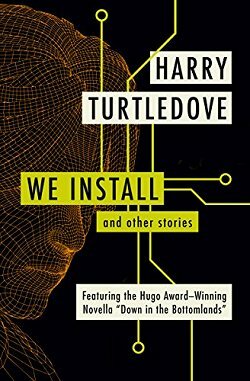 But Dae can’t ignore her visions of Betsy, or the fact that Kevin’s psychic ex-fiancée might be the only person who can help find her…"
Synopsis: "Word has spread that contractor Mel Turner can communicate with the spirits of the dead, and she’s having a hard time maintaining a low profile. 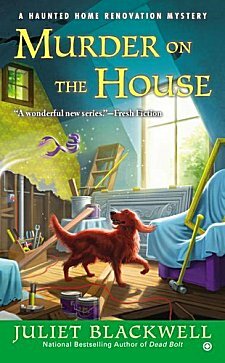 She decides to embrace her reputation for the chance to restore a historic house that calls to her. The new owners, who hope to run a haunted bed-and-breakfast, want Mel to encourage the ghosts that supposedly roam the halls to enhance the house’s paranormal charm. The catch: Mel has to spend one night in the house to win the project. During the spine-chilling sleepover, the estate gains another supernatural occupant when someone doesn’t survive the night. As Mel tries to coax the resident spirits into revealing the identity of the killer, she risks becoming the next casualty of this dangerous renovation." Synopsis: "'Avast' in pirate speak means what? In spite of the squabbling, Charlie Peyton, Lindsey’s downstairs neighbor, takes a job with the salvage company. 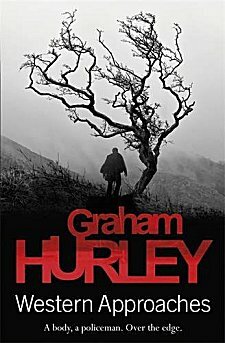 But when Trudi Hargrave, the local tourism director who hired the company, is found murdered at the excavation site, Charlie becomes the chief suspect. 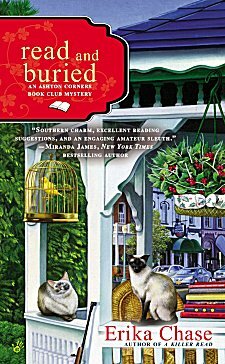 To help him, Lindsey must do some digging of her own before the real killer buries the truth for good…"
Synopsis: "For their very first guest author event, most of the book club members can’t wait to pull out all the stops in Southern hospitality. But for Lizzie, Derek Alton is nothing but trouble—from his massive ego to his smarmy moves. When he’s found murdered in her living room, it seems someone decided that this womanizing writer would be better off dead than read. After suspicion falls on Lizzie’s friend, she and her fellow book club members discover that Derek wasn’t who he pretended to be. Cracking this case means going up against Lizzie’s boyfriend, police chief Mark Dreyfus, and unearthing a novel’s worth of nasty secrets. 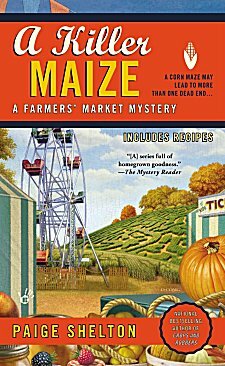 And as they get closer to uncovering Derek’s scandalous final manuscript, someone hiding in plain sight is out to write finis to Lizzie’s sleuthing for good…"
Synopsis: "After a gruesome murder at the Carlton County Livestock Feedyard, the KBI enlists Undersheriff Lottie Albright to work undercover. Agent Dimon believes Sheriff Sam Abbot is turning a blind eye toward illegal activities between the bullhaulers and Mexican immigrants working at the feedyard. As a cover for her sleuthing, Lottie calls for stories from Mexican families whose ancestors were part of colonization groups into Kansas. 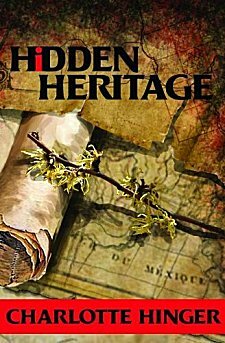 Francisca Diaz, a mysterious old Spanish woman comes into the historical society to contribute her family history. When she is brutally murdered, the family's history overlaps with the murder at the feedyard." Synopsis: "A jilted bride weeps on an empty beach. A local doctor is attacked in an isolated churchyard. 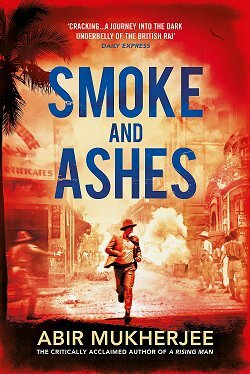 Trouble arrives at a bad time to the backwater village of Morfi, just as the community is making headlines with a visit from a high-ranking government minister. Fortunately, where there's trouble, there's Hermes Diaktoros, the mysterious fat man whose tennis shoes are always pristine and whose investigative methods are always unorthodox. Hermes must investigate a brutal crime, thwart the petty machinations of the town's ex-mayor and his cronies, and try to settle the troubled waters of two sisters' relationship. But how can he unravel a mystery that not even the victim wants solved?" Synopsis: "The last person Becca expects to run into at the Swayton County Fall Festival is her ex-husband, Scott Triplett, who’s operating a shooting gallery. Honesty was not always Scott’s policy, and their unexpected reunion is further complicated when the festival becomes a crime scene. On Becca’s second day there, Ferris wheel operator Virgil Morrison is found hanging from his rickety ride, dead from a gunshot. As Becca starts to notice Scott suspiciously sneaking around the fairgrounds, she begins to worry her ex may be involved in the murder. Then there’s the shadow she sees in the creepy corn maze and rumors of a gypsy curse—not to mention Virgil’s mysterious spider tattoo. Now Becca must search through a labyrinth of lies, secrets, and superstition to find a kernel of truth…before the killer starts stalking her." 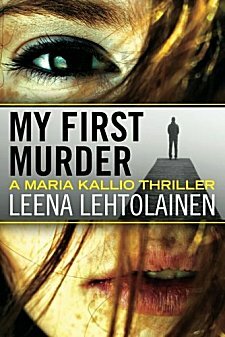 Synopsis: "Maria Kallio has just been assigned her first murder investigation. To prove to herself and her squad that she has what it takes to be a detective, she’ll have to solve the death of Tommi Peltonen. Found floating facedown at the water’s edge of his Helsinki villa, Tommi had invited his choir group to spend a weekend at his retreat. But beneath the choir’s seemingly tight-knit bonds seethed bitter passion and jealousy. As Maria sets out to determine the difference between friends and foes, she uncovers the victim’s unsavory past—and motives for all seven suspects. Now it’s up to her to untangle a complex set of clues before the killer strikes again." Synopsis: "DS Jimmy Suttle has finally tired of the relentless struggle against the rising tide of urban crime in Portsmouth. Surely a job in Major Crimes in the West Country will offer some respite? He finds a remote cottage nestled in a fold of Dartmoor and, with his wife and two-year-old daughter, heads West for what he is sure will be a saner existence. How wrong could he be? Soon he is investigating the murder of a long-distance rower in the small town of Exmouth. The man rowed in the same 5-man boat as a man who, two years before, dodged a murder charge when his wife went missing during a cross Atlantic rowing challenge. There had been tensions between the two. Has a killer killed again? As the job takes over, Lizzie, Suttle's wife, is increasingly unhappy about the move. Trying to juggle family life with her own new job on a local paper, isolated in a lonely cottage with a demanding toddler and struggling to make new friends, Lizzie thought the whole point of the move was that she and Suttle could at least see more of each other. As his marriage frays at the edges and his first investigation becomes mired Suttle begins to feel the hills around their cottage crowding in, the wind over the moors above ever chillier, the waters ever greyer. He really has reached land's end..."
Synopsis: "Letting no good deal go undone, the Good Buy Girls are ready to pounce on the St. Stanley flea market, where wealthy Vera Madison is selling off her vintage clothing. 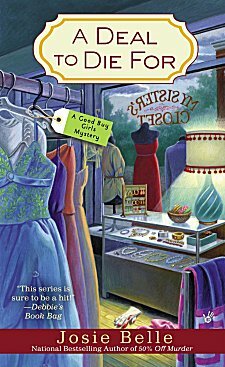 The widow’s wardrobe is just what Maggie Gerber needs to give her second-hand shop, My Sister’s Closet, the edge over vindictive rival Summer Phillips, who’s opened her own second-hand shop across the street. But when Vera is found dead, it turns out that she collected enemies like Dior gowns—and had more than a few skeletons in her walk-in closet. 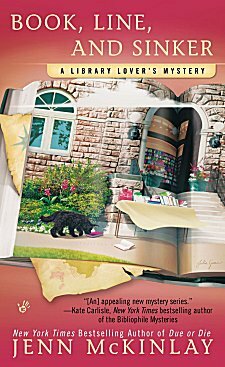 Now it’s up to Maggie and the Good Buy Girls to sort through the racks of suspects for the killer and get back to the business of bargains…"
Synopsis: "Inheriting her great-uncle Louis’s bayside souvenir shop should have been a breeze for Glory. Instead it’s been one headache after another—with a lot of them generated by Bluebeard, a parrot with a mouth like a sailor and a personality a lot like her late great-uncle. But Glory’s troubles pale in comparison to those of her best friend Karen, whose ex may still have the personalized key chain to her heart, but whose brother-in-law is about to get locked up. A diver has been found with a gaff hook in his chest, and Karen turns to Glory to help get her brother-in-law off the hook for his murder. But casting the net for the real killer won’t be easy. 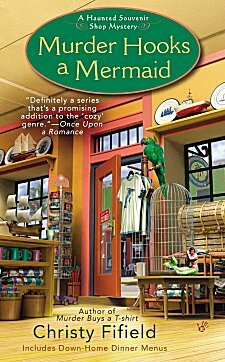 Glory and Bluebeard are about to find out that the secrets in Keyhole Bay run deeper than anyone ever imagined…"
December certainly seems to be the month for new cozies, doesn't it? (Not that I'm complaining, mind!) Do any of these books tickle your fancy? Which ones? Inquiring minds always want to know! Can't wait for all these new releases. I love how you do this post. It's very informative. Thanks. I'm so glad you find the information useful, Kimberlee! I read one of Anne Zouroudi's book before and she is great. 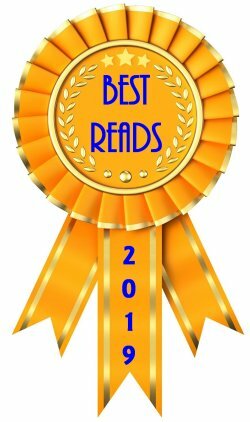 I've read one of hers, too, Caite, and really enjoyed it. Cathy, a woman after my heart with all those Christmas trees! I've decorated my library to a fair thee well, although so far we just have the one big tree up. There's one artificial one in attic that I usually do for cottage. I do love this time of year but working, shopping, decorating, trying to find time to read and blog a little and trying to clone myself so I can be in two different locations at Christmas is proving challenging. Love the update on upcoming books--so many books, so little time! In addition to my fulltime employment, I'm even thinking of taking on a parttime job at the local med center as jack of all trades, my specialty, which in some twisted way is supposed to help me prepare to work less!